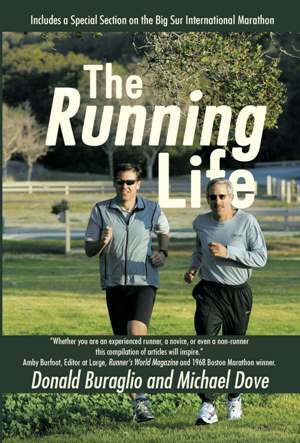 The Running Life: Are you Race Ready? We are entering the summer racing season and most of you have entered some important local races. You might have a sense that you are ready to set some Personal Records but how do you tell for sure? We’ve developed another self administered test that you can pull out and take a few days before your next race to judge just how ready you are to run fast. So get out your scorecard, and let’s get started! Followed the Training Plan: You had a well conceived training plan you followed to the letter obsessively for the last 3 months - Score 10. You followed a training plan, except for a few missed days here and there, for the last 2 months - score 7. You didn’t have a plan – but ran very consistently for the last 2 months – score 5. You’ve been running a few times a week for the last 2 months – score 3. You just realized you have a race this coming weekend – score minus 1. WEIGHT: You look so skinny that your friends ask you if you have been sick – score 10. You are at the lowest weight you have been in the last 3 months – score 8. You have maintained your goal “happy” weight for the past month – score 5. You’ve gained a few pounds lately but you are sure it’s all muscle – score 3. Let’s go have another donut – score minus 1. Speedwork: You have been doing speedwork consistently over the past 2 months and your times have been getting faster on the track – score 10. You have been doing speedwork once a week for the past 2 months – score 8. Occasionally you try some faster running on the roads or track – score 5. You don’t do speedwork but know what it is – score 1. You don’t know what speedwork is – score minus 1. Shoes: You are going to run your race in racing flats – score 10. You don’t own racing flats but are going to run in your lowest weight shoes – score 7. You are going to wear your most comfortable running shoe – score 5. You only own one pair of running shoes – 1 point. You are going to buy a new pair of shoes for the race – score minus 3. Attitude: You are totally going to “go for it” and try to set a Personal Record – you know it’s going to hurt - score 15. You aren’t totally confident, but feel pretty good about your fitness and don’t mind feeling a little pain – score 8. You are going to start conservatively then ease into speed mode – score 5. You are going to be social and enjoy the scenery – score minus 1. You don’t know what pain is – score minus 5. 50 to 55: As good as it gets. You are ready. Just go do it. 25 to 37: This is OK. No P.R’s for you, but a good consistent time you’ll be happy with.